Galician wines are finally receiving the attention and growing reputation at the international level. Galicia is full of vineyards, wineries, wine cellars (bodegas) and wine shops! Wine here is a way of life inseparable from its gastronomy. With over 480 bodegas reflecting the 5 different denominations/other local wines, it is easy to visit a cellar & sample a fine Alvarino, Ribeiro or Mencia. Often in stunning surroundings & on historic estates, it is a great way to get to know Galicia. 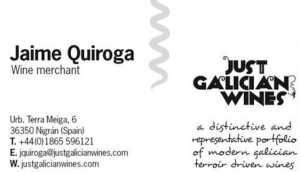 Discover Galician wines & buy them direct from a bodega!